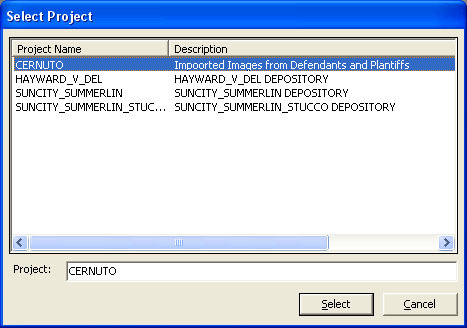 The IPRO 8.6 premium viewer is a simple tool to help you organize the documents relevant to your client’s case. Attention: This guide is intended to help those who are authorized to install content onto their computers with the installation of IPRO premium viewer software. Please contact your IT personnel with any questions regarding to errors occurred with the installation of this software. Litigation Services and Technologies is not responsible for any damage incurred by its installation. Please contact IPRO Tech Inc. with any technical problems at either their website or at (877)324-4776. Run the executable pview86.exe, it will pop up an installation wizard to guide you through the installation process. Install it to the destination approved by your IT personnel. 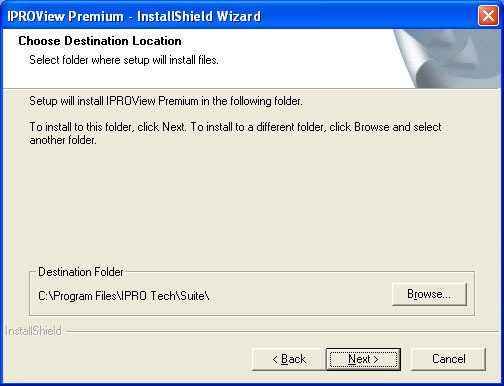 If it does not matter where the software is installed, install it to the default directory “C:\Program Files\IPRO Tech\Suite\” and click next to continue. After all the files have been copied and the installation in finished click “Finish” to complete the installation. 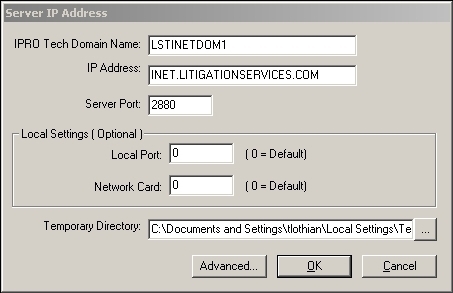 The viewer must be configured to connect to Litigation Services’s INET server. 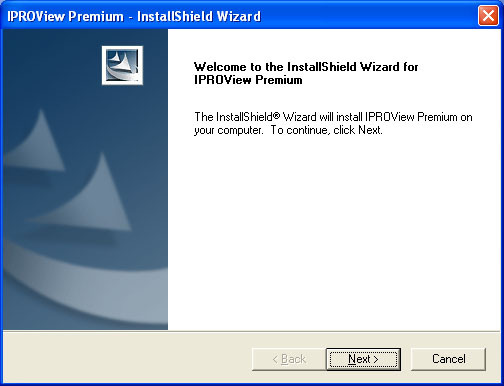 Startup the IPRO premium viewer software and it will bring you to the log in screen (File > Login…). Before you log in you must tell the program to connect to Litigation Services & Technologies server. 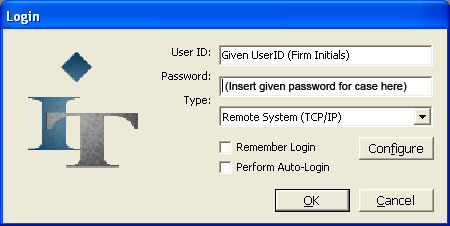 First make sure “Remote System (TCP/IP)” is selected in the type field. Then click “Configure” to bring up the configuration screen. Fill in the fields as shown above. Set Local Port and Network Card to “0” unless told otherwise by your IT personnel. Leave the temporary directory as the default directory. Click “OK” once you have verified the correct information has been entered. This will bring you back to the login screen and you may now enter the User ID (usually your firms initials) and password (varies depending upon the case you wish to view) that were provided to you from Litigation Services. Do not select perform auto-login as you will always be defaulted to the cause you viewed when you first logged in. After you have entered your User ID and Password, click “OK” to login. Once you have logged in and selected a project, you may now view the images associated with that project. The boundary tree allows you to navigate through the images contained within the project. IPRO premium viewer is designed to imitate the structure of the real documents to give you a feel of how the documents were organized. There are different levels inside of the boundaries, usually Box, Folder, Document, and Individual Pages. Opening the boundary tree allows you to navigate the images ordered by bates number and divided into groups by boundaries. Click the button highlighted in yellow here to open the Project Boundaries Window. It will open up the boundary tree and allow you to click on a bates number to view that image, double click on it to open up its subcategories. Boxes have folders, which contain documents consisting of individual pages. Usually images are naturally too large to fit on the screen, they normally extend off the bottom of the screen and you must scroll down to see the rest of the image. To scale the image down to see all of it you can fit it to the screen. Click the Fit Vertical button to fit an image to the screen if it drops off the bottom of the screen, or the Fit Horizontal button if it extends off the side of the screen. When a project is OCR’ed (Optical Character Recognition), you are able to search the image to find words on it. OCR is not 100% accurate, and it cannot pick up hand writing, but it can help you locate words that are legibly typed on an image. Click the Search images For… button to bring up the search screen. Make sure the Search Image Text bullet is selected and type your search query in the Search Criteria field. Click OK to search the images in the project you are veiwing.